Complet 433 MHz alarm package with control panel, sensors, magnet contacts, remotes and a GSM module for easy remote access to the system. Secure your home or workplace with this complet 433 MHz alarm package. 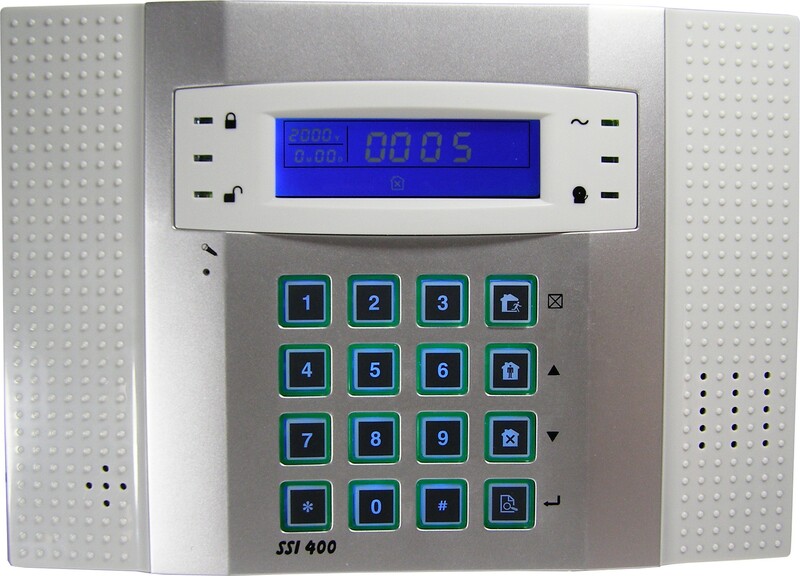 The control panel is a SSI400 which is a 433 MHz alarm with a built-in GSM module. The alarm has 8 wired zones and furthermore 32 wireless units can be connected. One zone could consists of one or more motion detectors and magnetic contacts on a door or window. We recommend installation of one motion detector per zone. Battery life is about 2 years. The package is also avaliable with wired accessories, if you don not wish to use the wireless system. It can be set up as a system combining wired and wireless units. The previous model can with a 12 V power supply. Please be aware of this if you are looking for a new adaptor for your current alarm. The alarm is easy to install and operate as you are guided in english or Danish in connection with programming and operating the various functions. The message in connection with an alarm call or sms from the system is likewise in english or Danish. 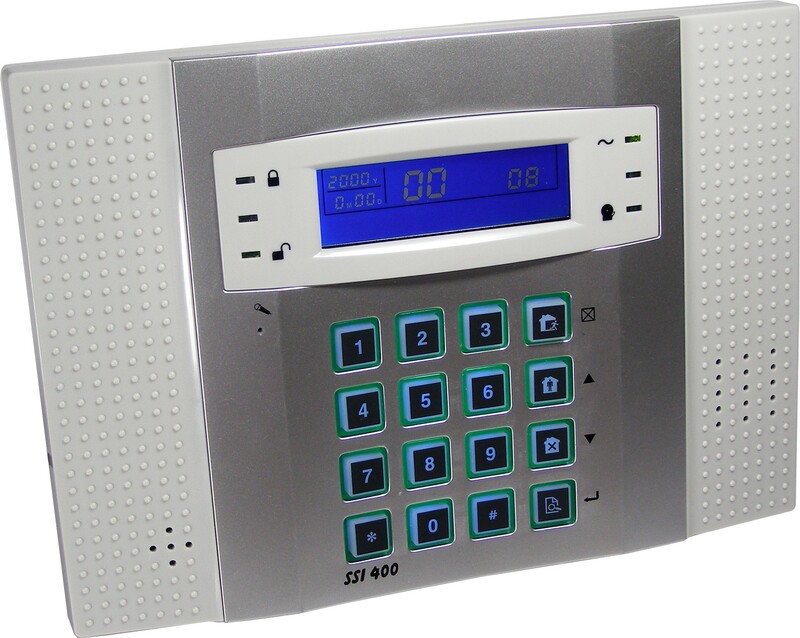 The alarm can call and send sms to up to 4 encoded phone numbers/receivers (for eksampel different family members). The encoded numbers then recieve a phone call and a sms if the alarm goes off. The alarm can afterwards be deactivated via the phone. The alarm reacts within 2-3 seconds! Furthermore you are able to call the system and get an status update while you are on the move. In case of power failure the encoded numbers will also receive an sms and a phone call. The unit has built-in dialer for PSTN and GSM transmitter. This solution can thus be used in homes and workplaces with or without landline phone. Please note that you are able to control the system via our free app for android and IPhone - if you choose to use the built-in GSM transmitter.